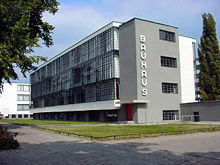 BAHAUS style became one of the most influential currents in Modernist architecture and modern design. Its’ streamlined, minimalist vocabulary translates easily into today’s clean approach to dressing. One designer embracing this modern, minimalist mindset is Jil Sander. 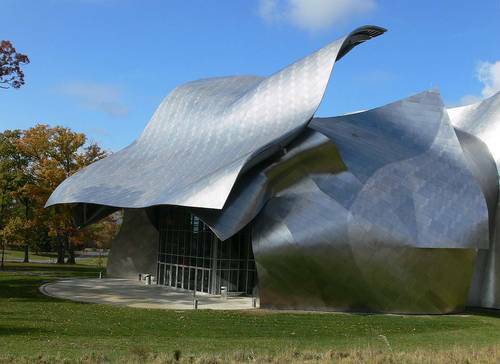 POST MODERNISTS like architect Frank Gehry have their fashion counterpart in Junya Watanabe. Antoni Gaudi the brilliant Spanish architect of the last century was a member of the Expressionist movement. A master of many media including ceramics, stained glass and wrought iron, he employed the use of color and bold pattern in his design work. 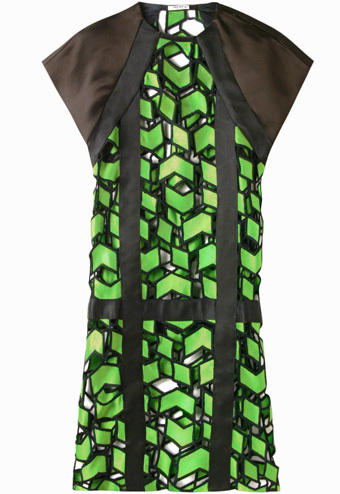 His modern day fashion equivalent is Miu Miu, with its’ large scale geometric patterned dresses and brilliant color combinations the connections are clear.